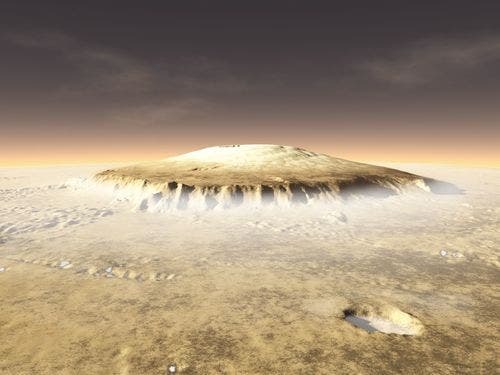 Tharsis Tholus, an extinct 4-billionn year old Martian volcano soars 8 kilometres above the surrounding landscape – almost the height of Earth's Mount Everest. The image above was released yesterday by the European Space Agency. 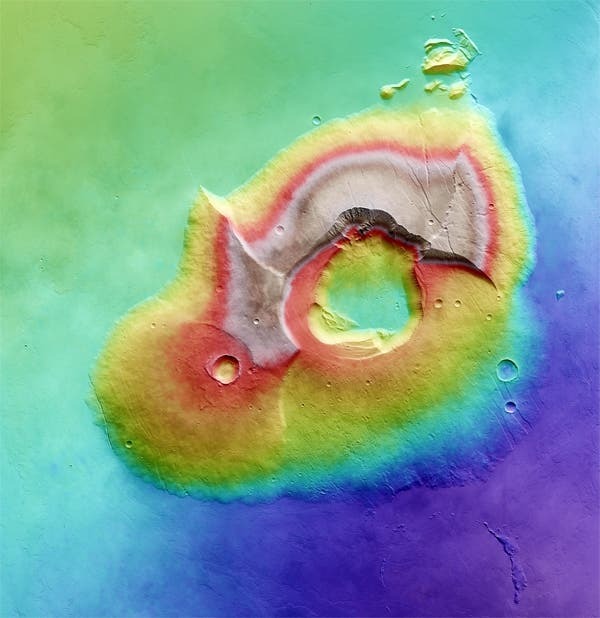 It is a composite of multiple photos taken by a high-resolution stereo camera aboard the Mars Express spacecraft in 2004, with different elevations shown in different colors.